Restorative Prosthetics & Orthotics, LLC is a clinic offering top-of-the-line prosthetic and orthotic services at reasonable rates. Located in Mobile, AL, Daphne, AL, and Slidell, LA, we help amputees, injured individuals, and patients in need of movement support. Just discuss your concerns with our team of dedicated healthcare professionals, and we assure you that we will address each one promptly. We're excited to announce we have moved from our Springhill location in Mobile. Our new office is located at 921 Lakeside Dr., Mobile AL 36693. Find the right prosthetics and orthotics when you consult the healthcare practitioners at Restorative Prosthetics & Orthotics, LLC. We serve patients of all ages for your peace of mind. If you have questions or comments about our clinic or the prosthetic services and orthotic options we offer, don’t hesitate to get in touch with our experts. You may reach any of our offices by phone, fax, or email. Eddie Restivo, Jr. is a board-certified and licensed prosthetist and orthotist. He earned his Bachelor of Science degree in Health Services and is a distinguished graduate of the U.S. Army Academy of Health Sciences practitioner program at Fort Sam Houston, San Antonio, TX. He has worked as a practitioner in the prosthetic and orthotic industry since 1991 and is a Desert Storm-era veteran. Eddie is married to Melody, and they have six children. Eddie is a native of New Orleans, LA and established Restorative Prosthetics & Orthotics, LLC in 2007. He opened his second location in Mobile, AL in 2013. Restorative Prosthetics & Orthotics is continuing to grow to meet the needs of patients on the Gulf Coast by opening its third location in Daphne, AL during the summer of 2015. Sean started his medical career by serving in the Air Force Reserves from 1991 to 2001. During his time in the Air Force, he worked as a physical therapy tech from 1991 to 1995. 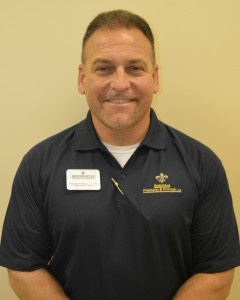 Sean started practicing as an orthotist and prosthetist in Mobile and Baldwin Counties in 1995. He began working at Restorative Prosthetics & Orthotics, LLC in March 2013. Sean has three children and is an avid outdoorsman.